The Sault Metal Scene: LOCAL CONCERT ALERT (Project 421), Dour Concert Preview, And Much More!! LOCAL CONCERT ALERT (Project 421), Dour Concert Preview, And Much More!! Another quiet weekend is now passed during our recent quiet stretch (is there a groundhog for the local music scene that saw it's shadow? ), but we are back with a new news post on this Monday, so before you check out the solar eclipse, here's a new archive album find, a special Wednesday night concert preview some assorted updates, and first, a LOCAL CONCERT ALERT! Local classic metal quartet Project 421 will return to The Canadian Nightclub for another headlining concert on Friday, September 8th! Marking just their third concert since their triumphant return to the stage last month, this show comes just under a week following their set opening for Diamond Head on September 2nd, so hopefully they're still riding high from that huge opportunity and deliver a solid night of old school metal renditions! Though ostensibly another toe into the water for The Canadian's return of solo bands on weekends, they will have an opening act, namely alt-punk quartet A Dire Setback, who also opened for 421 last month at the same venue among other bands. Can't go wrong with a punk appetizer, let alone from a band with A.D.S.' already high profile! A cover charge has not been announced for this 19+ event, which has a 10:00 PM start time. Visit the official Facebook event page for more details, and don't miss out on this metal and punk double act next month! Next up, here's a preview of a special concert going down THIS WEDNESDAY NIGHT at The New American Pub, as Saskatchewan grindcore band Dour will make their local concert debut! Possessing a crust and sludge-infused attack, Dour's brand of power violence should melt many faces at The New A on Wednesday night, so if you're up for some mid-week extreme music, you know where to be! Local support will include death metal standouts The Bear Hunters in their first of two shows in a five night span (look for our Eye of Horus preview on Saturday, in all likelihood), while extreme metal quartet Winkstinger will end their 15 month stage hiatus when they kick off the action on Wednesday! I have no idea where Winksringer have been in the past year, but how will they look and sound compared to their run of shows last spring? Find out in a few nights' time! Co-promoted by Slumshine's Brenton Ellis and Gore Street Cafe owner Nicole Dyble, this 10:00 PM concert has a $7 cover and a 19+ age limit in effect. Making one of the final stops of their No Sign of Grief Canadian Tour before heading home, Dour should brutalize the stage with their hard grinding and sludgy originals, and with two opening acts you don't see on stage nearly enough anymore, don't bypass this concert if you can help it! Visit the official Facebook event page for more details, and here's Dour live! 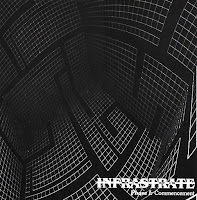 Also today, I am proud to say that I have finally purchased a local CD that I've been seeking out for years, and that is defunct hard rock quartet Infrastrate's only EP "Phase I: Commencement"! After years of coming up empty for the long out of print CD, I happened to discover two copies on the front counter of The Rad Zone for around $6, and I of course grabbed one, so what should you know on it? Released in late 2005 after being recorded at Cherry Valance Sound that August with co-producer & current Northwest drummer Marc Santos, "Phase I" arguably marked their final act as a solely local band before moving to Ottawa shortly after sessions wrapped up. In terms of content, the EP has 5 songs, including "Smoke & Mirrors", "Tyrande", "Detached & Tied Down", "Causal Nexus", and "Hindsight", and while all but the middle track had previously been posted on the band's PureVolume page, the copies there of "Tyrande" & "Causal Nexus" were not the EP versions, and I now surmise that they were pre-release demos. 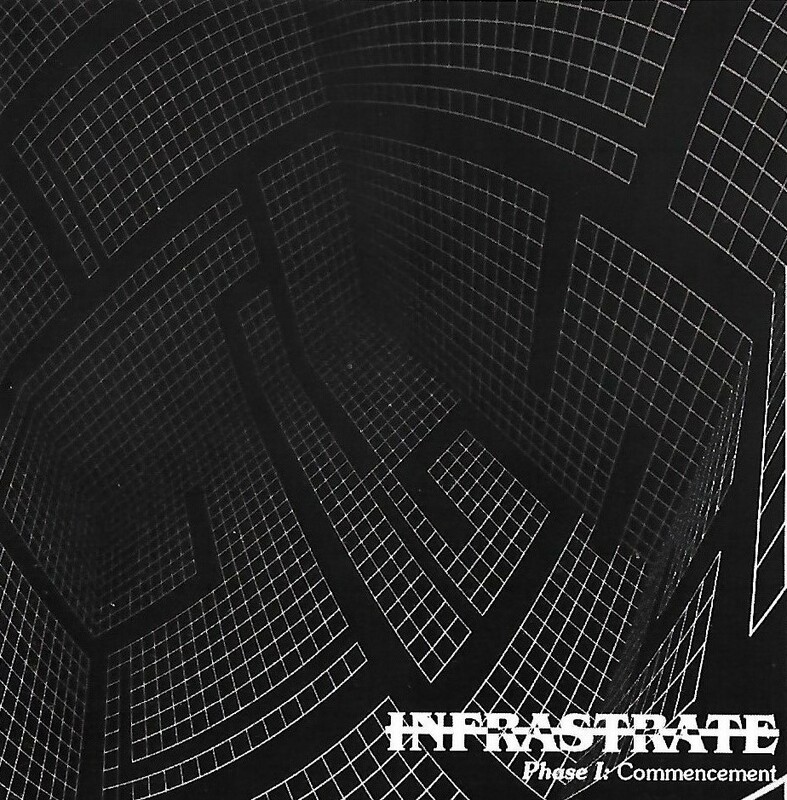 Is a review of Infrastrate's EP imminent on the SMS? Probably not, as the band (including singer Joey Paciocco, guitarist Patrick Webb, and Nick & Ben Ochoski on bass & drums) aren't in any active local bands to tie one in with, though Patrick & Ben have been active recently in Ottawa-area bands. That said, their progressive-tinged hard rock sound and solid chemistry is very present on "Phase I: Commencement", and as someone who very much cares about local music history, it's great to have a copy at last! Give "Detached & Tied Down" a listen below, and hear more from Infrastrate above courtesy of old & new uploads on our YouTube channel! I have changed the link for local film production company 62nd Chamber Productions from their website (which was taken down earlier this year) to their YouTube channel, which is still up, but hasn't seen new content in three years. Ran by AlgomA frontman Boyd Rendell, 62nd Chamber was a prominent source of content from both local concerts and from short film production (remember "The Last Strand"? ), and hopefully we see more from them soon in addition to much more from AlgomA & Six, Two, Oh.! I have moved local pop punk solo project Anthems vs. Oceans to our inactive band links, as the former For July have not posted a public update referencing their music since July of last year via their Facebook page (though, for full disclosure, posts have been made on non-musical subjects as recently as May.) Dave's a talented musician, and hopefully we hear some new updates on Anthems vs. Oceans material in the future! Just as a belated house-cleaning note, I have removed HMV from our linked pages entirely due to the now-closed music store chain's website now being reduced to an image and text about their final closures in April, a state that likely won't be reversed given the entire chain folding. HMV was a useful and reliable store when it lasted, but don't bypass Sunrise Records in it's old Station Mall location for your CD, vinyl, and DVD needs! That's all for today, but stay tuned for this month's YouTube Channel Profile and more this week! Thanks everyone! Haggith - "Apocalypse II" Review! !